Conventional Printing Services Chicago - Paulson Press Inc. Things become classics for a reason – they are reliable, high quality, and never go out of style. In the printing world, conventional printing is a class process that provides consistent products that always look professional and sharp. At Paulson Press, we have many options for your business printing needs, including using our conventional presses for your high volume work. 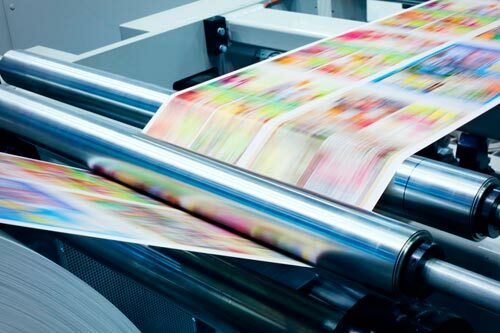 While printing fads come and go, our conventional printing process has stood the test of time. Giving you the option for printing a high volume of pages for less money, conventional printing is a wonderful option for businesses looking to print many pages of the same content. This could be brochures, business cards or other marketing collateral that you need high numbers of. Beyond the cost effectiveness that conventional printing offers for large printing, the process is also suited for smaller jobs. Images and print often appears sharper to our clients when printed off of a conventional press, as opposed to a digital process. Conventional printing also offers the freedom of choosing varied printing surfaces as well. Our clients often take advantage of the flexibility in printing surfaces that conventional printing provides, printing on a variety of paper thicknesses or other materials. Similar to conventional printing, Paulson Press is a classic too. We have served the Chicagoland for decades as a family business dedicated to giving businesses personalized attention. Our team works with you to assure that your final product is even better than you pictured it. Further, our consultation and estimation process assures that your final product won’t break the bank. We take pride in discovering what process, conventional or otherwise, would work best to meet your marketing or business goals. Give us a call to set up your estimation appointment with an experienced member of our Paulson Press team. You are only a call away from finding out what makes us a Chicagoland printing classic. Copyright © 2018 PaulsonPressInc.com. All Rights Reserved.